The Eleanor 63 in. Freestanding Tub in Black is made of high quality acrylic and reinforced with fibreglass. Its contemporary rectangular shape and inclined seating position make it the perfect tub to relax after a long day. The Terra's timeless lines will certainly be the focal point of any bathroom for many years. Comes with the drain and overflow preinstalled and levelling legs for easy, hassle-free installation. 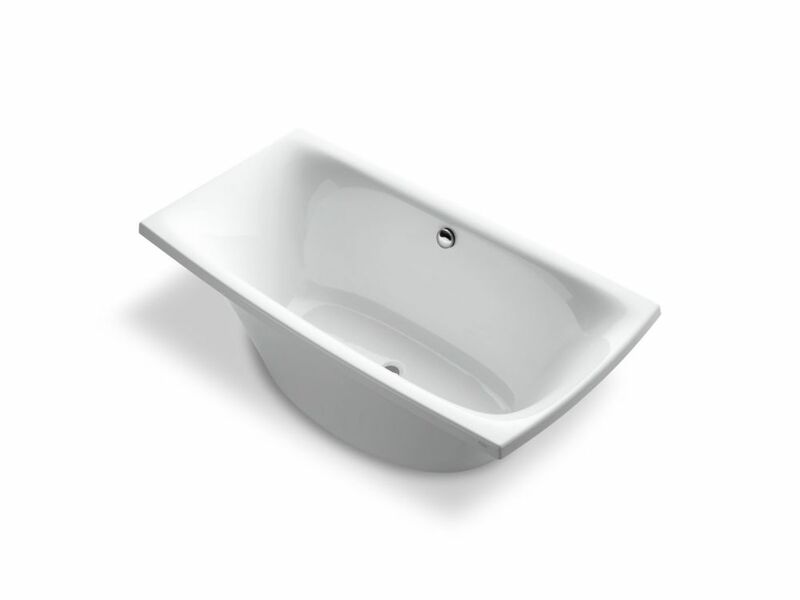 Escale 6 ft. Center Drain Soaking Tub In White Embrace a simple, modern look. This bath from the Escale collection is inspired by Japanese ceramic tableware, presenting a unique and contemporary design. With a 6-foot length and 36-inch width, the grandly scaled bath offers extra room for a spacious soak.